On October 1, 2011 Dr. Bart D. Ehrman and CSNTM's Executive Director, Dr. Daniel B. Wallace, debated the reliability of the text of the New Testament at Southern Methodist University. This was the largest debate over the text of the New Testament in history. A professional film crew recorded the debate, which is now available to you. In this exciting dialogue, you have the opportunity to listen to two leading scholars talk about this issue from opposing viewpoints. 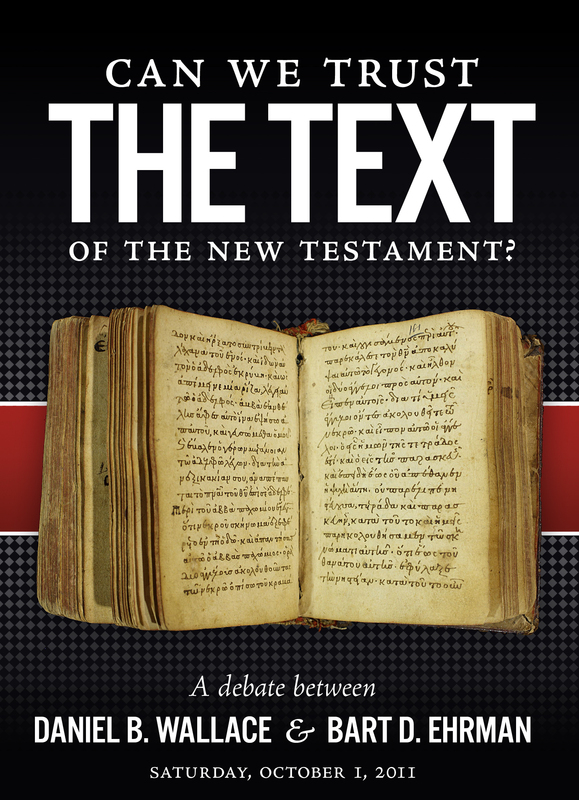 Can we trust the text of the New Testament? You decide.